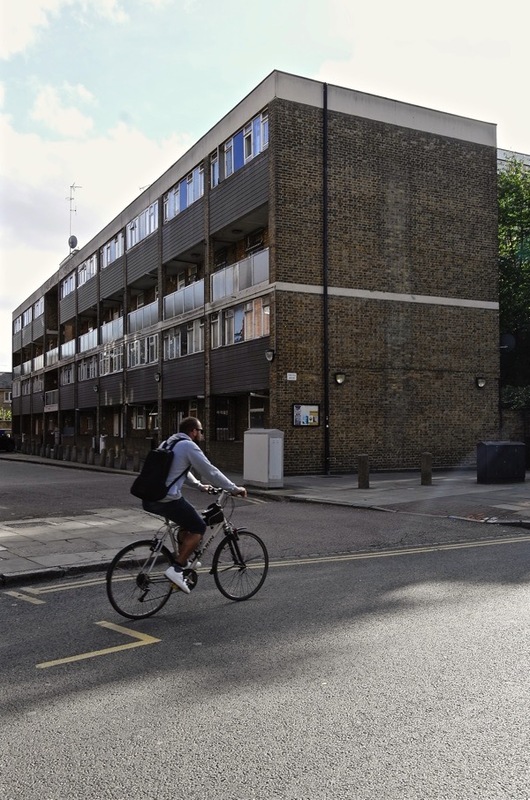 I doubt if passers-by give a second thought to Treves House or its neighbour Lister House as they hurry up and down Vallance Rd between Whitechapel and Bethnal Green. Yet these two understated modernist buildings with clean lines and elegant proportions – one a long terrace and the other a tall block – were designed in 1956 by the architect Count Ralph Smorczewski, a man whose astonishing story connects to the very essence of the history of Whitechapel. Currently, these buildings face an uncertain future. In recent years, the council has failed to maintain them properly, encouraged decay and neglect. Now tenants and leaseholders, including long-term resident ninety-three year old Sophie Spielman, fear they will be evicted and their homes demolished. But perhaps these structures might be better appreciated if the architect’s history and motives were more widely known? Ralph Smorczewski (1925-2009) grew up on his family’s estates in Tarnogóra and Stryjów, in the province of Lublin, Poland. Under the Nazi occupation, transports of Jewish people arriving from Germany and Austria began in 1942. In the summer, Ralph’s father realised they were dying of starvation and applied to the Nazis for the maximum number of farm workers, as a means to feed and keep alive as many Jews as possible. Yet in the autumn, they were rounded up and packed into trains, bound for the death camps. Ralph was just seventeen years old when this happened. It was a formative experience that informed his actions for the rest of his life. At eighteen years of age, he contacted the Polish Resistance and was sworn into their ranks. As the Red Army invaded, he and his family moved to Warsaw. When the Red Army arrived in August 1944, Ralph fought heroically with the Resistance in the Warsaw Uprising and worked as a surgeon’s assistant in a military hospital, before being arrested and interrogated by the SS. Despite torture and confinement, he gave no information and even convinced them he was Hungarian, leading to his eventual release. 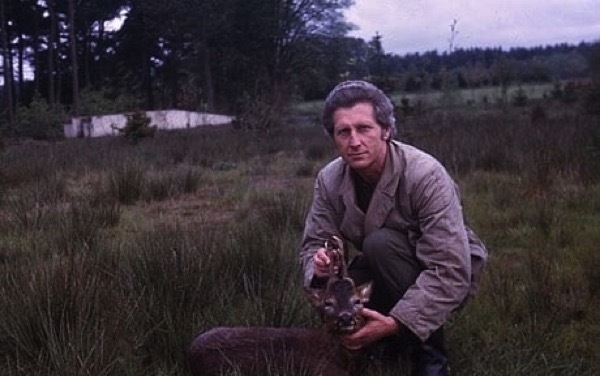 Fleeing Warsaw, Ralph rejoined the Resistance in the forests near Czestochowa and was appointed second-in-command of a troup. They killed a group of Nazi soldiers who had perpetrated some of the worst atrocities of the Warsaw Uprising, before taking part in a four-day battle against SS near the village of Krzepin. In 1945, Ralph and his family obtained passes taking them by train to Vienna where they joined a refugee convoy fleeing west. When they reached Italy, Ralph joined the Polish II Corps, part of the Eighth Army. Posted to the 7th Horse Artillery Regiment, he graduated from the Officers’ School in June 1946 and, that autumn, arrived in England with the Corps, possessing little more than his uniform. Ralph graduated from the Architectural Assocation in 1951 at twenty-six years old and worked at Stillman & Eastwick Field, one of the most notable practices contributing to idealistic post-war reconstruction of schools, hospitals and public housing. 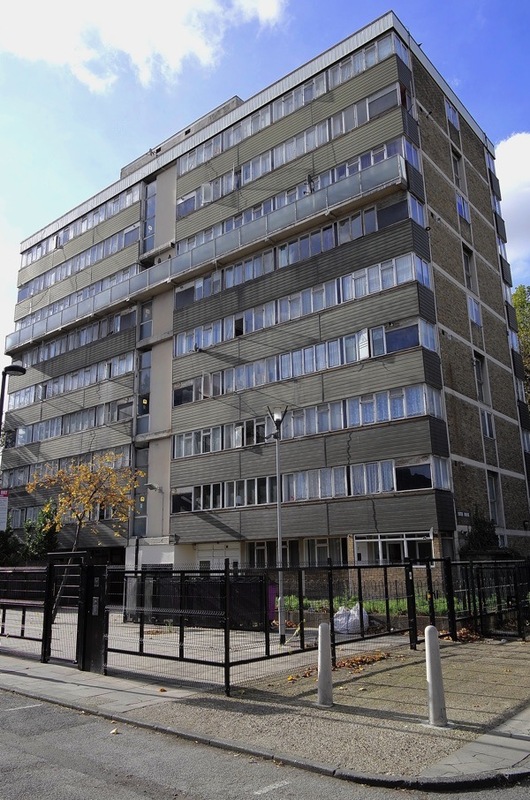 Among the first buildings Ralph designed for Stillman & Eastwick Field were Treves House and Lister House in Whitechapel. This project served as the natural outcome of his experiences in the war. Certainly, it was no accident that he undertook this assignment to provide better homes for Jewish people. One such was Nathan Spielman, who was moved from a slum dwelling in Anthony St to Treves House in 1958, before marrying Sophie in 1962. Thus it is that the story of Sophie, the last of the original Jewish residents, connects to that of Ralph who designed the buildings, and both stories co-exist as part of the story of Whitechapel itself. Yet Treves House and Lister House do more than reflect an historical moment. In the generosity of their accommodation, they embody the humane values that led to their creation. Rather than face demolition, these buildings deserve to be cherished because we need them to remind us of their origin and serve as an inspiration for generations to come. 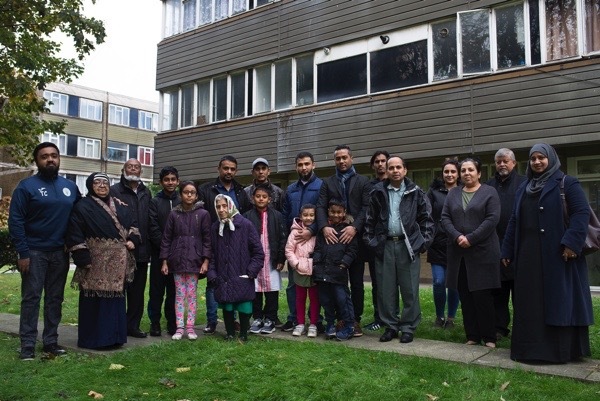 Residents of Treves & Lister House: (From left to right) Tasahood Choudury, Ashraf Choudury, Hasan Zaman (behind), Muhammad Noor, Usama Noor, Nabiha Haque, Sophie Spielman, Mr Kamal, Ziaul Syed, Ayman Syed (in front), Syed Hass (behind), Muhammad Khan, Mahrisa Khan (in front), Syed Ali, Ayaan Ali, Satyendra Roy, Elif Ozturk, Ismigul Osturk, Mjibur Rahman & Khayrun Begum (in front). His life story makes mine seem like an exercise in advanced water-treading. Yes, well, Tower Hamlets under the corrupt Rahman regime, what do you expect? Incredible story. Someone should make a film about it, so many parallels to today. These are fantastic buildings. I went to some excellent parties in Lister house in the 1980s! Perhaps these buildings of great architectural merit are not properly maintained so that they can be demolished and sold to developers for luxury apartments that will be bought by foreign investors who will keep them empty. Anything goes in austerity Britain. What a fascinating story and what a remarkable man! Well done, Gentle Author, for bringing it to our attention, and Good Luck to Sophie and the other residents. These are very handsome buildings, and I doubt that anything replacing them would be an improvement, if they were to be given the attention they deserve. Perhaps I’m getting old, but I believe that newer is more often NOT better. An incredible story about an incredibly brave man it should make us all stop and think about how important friendship and cooperation between countries is. Thank you GA.
Good luck to Sophie and the other residents in these blocks of flats too. What a wonderful story about such a brave and positive man, but so sad these buildings (along with many others) are threatened with destruction due to short-sightedness and greed. Thank you for making everyone in your neighborhood aware of what is happening. This was very compelling reading, as was the article about Sophie. Are you aware of https://www.thepetitionsite.com? It’s a site where ordinary people can start petitions. They give you the tools and guide you through the process. Maybe you could start a petition to save these buildings. It seems such a good cause to which many people would rally.